Endurance staff provides individual, group and family coaching for running and triathlon (sprint to half-ironman) events including 5K, 10K, half-marathon and marathon distances. We work with beginners and experienced athletes. We have a gentle approach to help beginners who may be intimidated by running or triathlon to simply start walking, swimming, biking or hiking or to figure out what activities you enjoy. We also work with experienced athletes to help you refine your goals, improve your performance or help you rediscover the joy in your sports. Dr. Nyamora coordinates all the training and focuses on both the physical and mental skills needed to enjoy and pursue sports and movement. We provide both virtual/distance customized training plans and in person coaching. You can also check out the groups/classes for athletes. Contact him for more information. Thursday night workouts in Berkeley. All training locations will be announced by Sunday each week. Option to buy one-on-one training/feedback sessions. We're almost at the end of our training season and getting excited about the race. Still finishing up preparation with some strength workouts. We have completed our last long run before winding down and tapering for the event! Can't wait to check out this new race in a few weeks. For those who want to sign up for future races/trainings, please contact us to get on our wait list. We had a successful speed workout in preparation for the Santa Rosa Marathon. Just a few more weeks of training to go before race day! Now that we are back from Kenya, Endurance is continuing the Marathon training for the Santa Rosa Marathon. We had our long run on Saturday beginning in Emeryville and running along the Marina. It was a beautiful day to run and we're excited about completing the season with the Santa Rosa Marathon in August. Great workout for Endurance Runners in Berkeley. The session was focused on speed training and Coach Cory Nyamora was very impressed by how the runners are progressing as they train for their Kenya Safaricom Lewa Half-Marathon and the Santa Rosa Marathon. Our marathon runners completed a hilly 10 mile workout in Tilden in Berkeley, California. They enjoyed a challenging, hilly workout on a beautiful morning. The course was filled with rolling hills and views of farmland, the bay and lots of other runners. Our runners are preparing to run in Santa Rosa and in Kenya. Check out our facebook page for photos from this training. Endurance runners had a great hill workout on Thursday May 23rd. The runners were strong as they did their hill repeats and strength training. They are preparing to run the Safaricom half-marathon in Lewa, Kenya and the Santa Rosa Marathon in California. 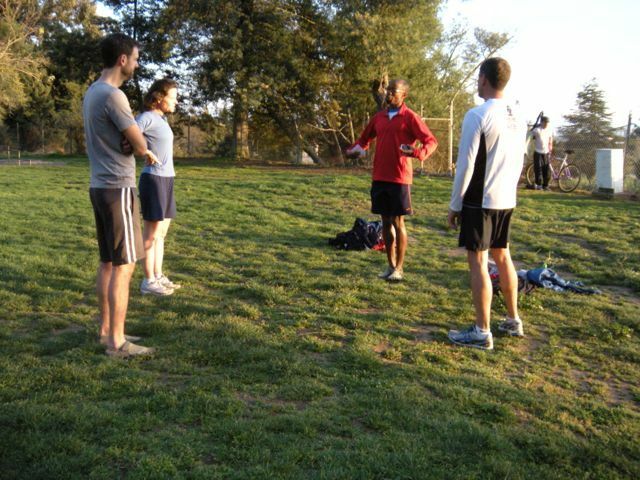 Trainings are led by Kenyan born U.S. running coach, Cory Nyamora. Today's clear and warm weather awaited Kimbia Marathon runners as they arrived at Clark Kerr Track, Berkeley, for workout. Below is a slideshow of the workout. Use the link after the slideshow to get more information about Kimbia Marathon and Half Marathon training conducted by Kenyan-born and US certified coach, Cory Nyamora. 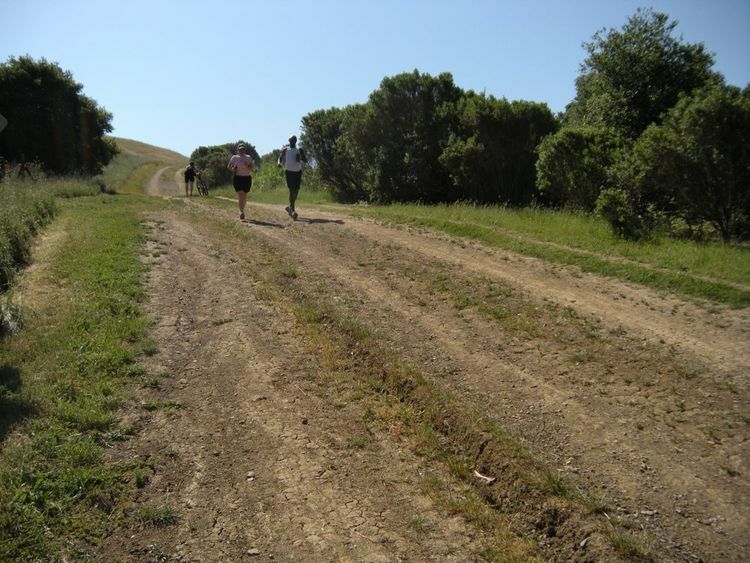 Wildcat Canyon Regional Park trail provides ideal training ground for runners being trained by Endurance a Sports and Psychology Center. The 2013 Kimbia Marathon and Half Marathon training began today at Clark Kerr Track, in Berkeley, California. A Kenyan-born and a certified US coach, Dr. Cory Nyamora, is conducting the training. He plans to take some of his runners to compete in Kenya with the others competing in California races. Some of his runners have already competed at San Jose and Oakland marathons. We work well with runners of all levels including beginners! Endurance runners concluded their coached workout yesterday at Piedmont High School. They are ready for the March 25, 2012 Half Marathon. The runners have been trained by Kenyan-born Dr. Cory Nyamora, a USA certified Track and Field as well as Triathlon Coach.